Discussion in 'Fan Sites & Community Events' started by Berni, Oct 25, 2018. Team Berni looking for a driver for two last rounds of IVRC TCC series, GT3 and F3 Macau events as well. You don't need to go every of this race - we can create racing plan together! For me isn’t important, who You are, but what You are. Speed isn’t the most important think for me, but I need to nice person, with whom I will have good work together, and – of course – good time. Next important thing is regular participate on races. What I will give You? First of all - good atmosphere. Plus personalized (in some frames) template, nice cars and lot of fun! If You are interested – send me PM right now! New year, new challenges and Team Berni still looking for a driver! This year we will racing in IVRC Touring Car Championship again, but it not all. 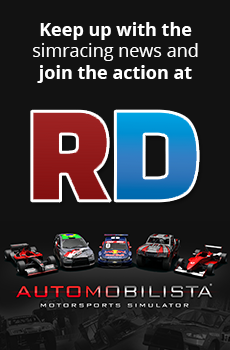 We also have a campain on GT class of World Endurance Championship. I looking driver for both of these series. What I expecting? Not much. Speed isn’t the most important thing for me, but I need to a nice person, with whom I will have good work together, and – of course – good time. Next important thing is quite regular participate on races. What I will give You? First of all - good atmosphere. Add to this nice cars, great races and a lot of fun. Isn’t it sounds nice? Do You want to be on both of these series? Great! Only one? Door are open. Are you not sure about it all? Let’s talk! Write here or send me PM right now! You can also check out our facebook page: Team Berni and leave me a message there. Use the link that says "Hotlink for forums"
@Daniel Escudero Thanks! I know that foto doesn't work, but I was thinking that is no really important, so I just leave it. But thanks for that site.